Nominated for Supporting Best Actress-Jean Hagen; Best Scoring of a Musical Picture. Frequent readers of my reviews probably know of my oft-stated antipathy toward movie musicals. (Actually, I hate stage musicals even more, but that's a different issue.) The format actively annoys me. 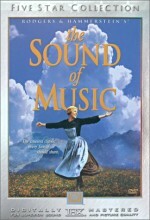 I've found some pleasure in a few of the films; despite their songs, I kind of liked My Fair Lady and The Sound of Music. However, I still simply can't stomach the vast majority of musicals. There's always been one exception, though, one movie musical that I really liked despite my negative opinion of the format: 1952's Singin' In the Rain. Why does this one stand out to me? A lot of it has to do with the interesting story. Look at the two musicals I mentioned above; both have strong narratives and interesting characters to support all of the silly singing and dancing. 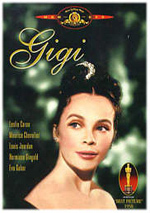 Too many musicals - such as Gigi - discard any kind of substantial plot and just toss out a lot of tunes in their place. Also, a lot of these films have excessive numbers of song and dance routines, many of which grind the narrative to a halt. I thought Oliver! and West Side Story suffered from those flaws. Rain, on the other hand, creates a nice balance between story and songs, with only one exception that I'll discuss later. The tale largely focuses on a budding romance between movie star Don Lockwood (Gene Kelly) and aspiring actress/singer Kathy Selden (Debbie Reynolds), but it does so against an unusual backdrop: the transition of films from silents to "talkies". It's a clever tactic that makes the picture much more interesting than the regular "boy meets girl" fare; although it's clear the movie takes an unrealistic and cartoonish viewpoint of the era, I really loved all of the material about the silent films and the problems their creators encountered when the move to sound occurred. It's that plot path that makes the story work, since the film's not so obviously limited to the usual romantic schmaltz. Granted, it's virtually inevitable that Don and Kathy will become a couple; we know this the second they lock eyes. However, since the movie involves so much other action, it means that we're treated to many different elements. As such, if romance isn't your thing, there's something else upon which you can hang your hat. Rain was acted and shot in a pretty cartoony, broad manner. Normally I'd consider that a negative, but it works very well in this instance. Even though the silent days weren't all that far in the past when Rain was made, they existed long enough ago to already seem semi-mythical, and the movie treats them as such. Rain half-spoofs, half-salutes those years, and the combination works nicely; it doesn’t treat the silent era with excessive reverence, but we sense affection toward it, so the mockery doesn't come across as mean-spirited. Much of the reason Rain seems so good stems from the cast. Kelly was never better than as Lockwood; he combines mild celebrity arrogance with his usual "boy next door" charm and creates an endearing yet still believable character. His chemistry with his co-stars is always solid; he and Reynolds hit it off especially well, and the moment in which they finally solidify their relationship is happily touching. I like Donald O'Connor as Lockwood's lifelong friend Cosmo, though he chews a little more scenery than I'd prefer. Best of the supporting batch, however, is clearly Jean Hagen as shrill-voiced actress Lina Lamont. The vast majority of the memorable non-musical moments belong to her as she creates a hilariously over-the-top harpy with a voice that'd irritate Fran Drescher. So how about those musical numbers, anyway? As I noted, those are the parts of these kinds of movies I dislike the most, but while I can't say really cared for the music in Rain, I do feel that the tunes are much more enjoyable than most. Rain probably features the same percentage of running time devoted to songs as most other musicals, but it sure doesn't feel that way. Most of the numbers seem pretty superfluous to the plot - musicals tend to toss out songs just for the heck of it - but they integrate fairly nicely into the story. Best of the bunch remains the stellar title song, with its career-defining solo dance for Kelly, but quite a few other tunes fit in nicely with the plot and don't feel "tacked on", unlike most of this film's brethren. The one significant deviation from this rule comes from the "Broadway Melody", an exceedingly long musical number that strives to out-do the famous ending dance from An American In Paris. Not coincidentally, that film - which appeared one year prior to Rain - starred Kelly, who also choreographed both pictures. I couldn't stand the big dance number at the end of Paris, but it remains famous and beloved by many, apparently, and it clearly made a big splash at the time. Through the "Broadway Melody", Kelly creates a production number highly reminiscent of that from the earlier film. It seems equally as dull and useless, in my opinion. Actually, it may serve even less purpose, since the piece in Paris at least related to the movie's plot. The "Broadway Melody" exists just to replicate previous glory, and I think it's a complete failure. It grinds the plot to a total stop for more than 13 minutes, but it becomes tedious long before the end of that period. That's too bad, as the "Broadway Melody" provides the only significant flaw in what is otherwise a very funny, fresh and entertaining little movie. Even with the “Melody”, I still really like Singin' In the Rain, as it remains bright and perky after 50 years. Even if you detest musicals, this one's worth a look; it won't persuade you to embrace the genre, but you'll like it anyway. Something odd I never noticed until this screening: during the montage of tunes that illustrates how “talkies” took over Hollywood, pay close attention to the song performed by the dude with the megaphone. The melody sounds exactly like the “Itchy and Scratchy” theme song from The Simpsons! 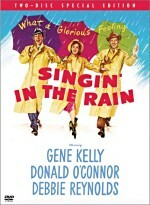 Singin' In the Rain appears in an aspect ratio of approximately 1.33:1 on this single-sided, double-layered DVD; due to those dimensions, the image has not been enhanced for 16X9 televisions. While the original DVD looked quite good, the new release provided an even stronger picture that almost received my highest honors. Sharpness consistently appeared excellent. The movie always came across as nicely detailed and accurate. A smidgen of softness crept through during a few wide shots, but those issues remained very minor. Jagged edges and moiré effects created no concerns, but some noticeable edge enhancement cropped up at times. As for print flaws, this remastered version nicely cleaned up the old one. That edition looked clean for its age, but this one seemed fresh for any era; I saw virtually no examples of grain, speckles, grit, or other defects during this astonishingly smooth presentation. As with the original DVD, colors looked absolutely lovely, with some genuinely eye-popping hues at times. Actually, I felt the new disc improved on the old one’s colors. Rain was a bright and colorful movie and the DVD often showed off these hues to great effect. At times, the hues of the original disc seemed slightly drab or pale, and skin tones often seemed a little problematic, but I saw no signs of those concerns on the new disc. Black levels appeared consistently strong, with deep and rich dark tones. Shadow detail seemed clear, with appropriate opacity but no signs of excessive heaviness. Were it not for the minor edge enhancement, Singin’ in the Rain might have earned an “A+”, but even with that concern, it still merited an “A-“; the film looked remarkably fine. While the new DVD significantly improved upon the visuals of the old release, the film’s remixed Dolby Digital 5.1 soundtrack seemed virtually identical to that of the prior edition. The mix slightly opened up the original monaural audio. The soundstage presented the songs with fairly nice stereo separation, and the score also spread modestly to the rear channels. Other than that, however, the track remained largely monaural as far as I could tell; I heard few instances in which any audio other than music emanated from the side and surround speakers. And you know what? That's fine with me. I liked the fact that the track broadened the music but kept the rest of the sound fairly true to the original. Audio quality appeared fine for the era. Dialogue was a little thin and tinny but seemed clear and intelligible throughout the film; it displayed no signs of edginess or roughness. Effects were clean and acceptably realistic without any distortion. The music appeared a bit too bright with only minor bass response, but it largely sounded smooth and accurate. The track showed few signs of any form of background noise. I wasn't frightfully impressed with the audio quality of Singin’ in the Rain, but it seemed quite good for a nearly 50-year-old film. Note: although the DVD’s case doesn’t mention it, this new edition of Rain finally includes the film’s original monaural audio. The prior disc only included the reworked 5.1 track. While I like the latter and prefer to listen to it, I definitely think movies should always feature their original soundtracks as well, so I’m pleased to see the mono mix on this disc. While the old DVD of Singin’ In the Rain included virtually no supplements, the new two-disc set pours on the extras. We start on DVD One with an audio commentary from co-director Stanley Donen, screenwriters Betty Comden and Adolph Green, Moulin Rouge director Baz Luhrmann, film historian Rudy Behlmer, and actors Debbie Reynolds, Donald O’Connor, Cyd Charisse, and Kathleen Freeman. Hosted by Reynolds, the edited track combines remarks from separately recorded interviews. At times these reflect on the action we see onscreen, but much of the time the participants cover other related subjects. I like that format, but some folks hate it, so if you fall into the latter category, enter this commentary forewarned. Overall, I feel the track offers a lot of good information. Not surprisingly, historian Behlmer - the veteran of many excellent Universal Classic Monsters DVD tracks - gives us the highest amount of concrete facts. He tosses out a great deal of useful material that helps us to understand how this classic got to the screen. The others contribute more personal recollections, and they generally do so well. We hear about how O’Connor created his solo number and how Kelly ran Reynolds ragged to get her dancing up to snuff. Comden and Green also relate the manner in which they came up with the story. All that and much more appears in this light and lively piece. I do have one major complaint about this commentary: the nature of Reynolds’ involvement in it. She hosts the track, which means she mainly identifies each speaker. She tosses in a few minor remarks about the production, but she adds no other information. All of her factoids seem generic and not specific to her participation. This appears bizarre. Reynolds was one of the film’s lead performers, yet she tells us absolutely nothing about her experiences in it. Cyd Charisse reveals more about Reynolds’ work than the actress herself does! Whose brilliant idea was it to use one of the movie’s stars in a strictly introductory capacity? Brad Pitt acted as the host of the commentary for the old Criterion Se7en laserdisc, but he still provided his own remarks as well. A few additional components appear on DVD One. Entitled Singin’ Inspirations, one feature provides an interactive way to view the movie. At certain points during the film, an icon pops on screen; hit “enter” and you’ll find snippets from flicks that influenced parts of Rain. I liked the idea behind this feature but not its execution. My main issue relates to one bizarre decision: you can only watch the film with its monaural soundtrack if you activate this piece. While that mix sounded good, I’d prefer to use the 5.1 version, but I can’t do that and check out “Inspirations” at the same time. The material we see when the appropriate link appears seems interesting, but the DVD doesn’t include much of it. By my count, I only witnessed the necessary icon three times during the film; it was a pain to sit through the whole flick for so few bits of information. (I can’t promise I didn’t miss some of the icons; they vanish fairly quickly, and they occasionally blended in with the background.) Some other DVDs with this kind of extra make the material available elsewhere on the disc; for example, the deleted scenes from The Scorpion King can be viewed via the branching option or through a montage in the extras menu. That doesn’t occur for Rain, which makes “Singin’ Inspirations” a flawed supplement. Next we find Reel Sound, another interactive program that combines text and footage. It details the development of audio in film. In addition to the text discussion, we can watch excerpts from the movies mentioned: 1926’s Don Juan (three minutes, 50 seconds); 1927’s The Jazz Singer (2:20); 1928’s The Lights of New York (1:25); and 1929’s The Broadway Melody (2:30). The text seems somewhat brief and rudimentary, but it provides some good basic information, and I like the inclusion of the film clips. Finally, DVD One concludes with the theatrical trailer for Rain as well as two other text features. Awards simply lists the official accolades garnered by the film, while Cast and Crew does nothing more than list many of the participants; it includes no biographies, filmographies, or other information. Warner Bros. DVDs do that frequently, and I still don’t understand why; if I want to read the movie’s credits, I can do so as it rolls. With that we move to DVD Two, which provides a slew of additional supplements. First we find Musicals Great Musicals, an 86-minute documentary that focuses on MGM producer Arthur Freed and his career. The program mixes clips from his many musicals with some archival material and interviews. In the latter category, we hear from actress Cyd Charisse, Arthur Freed biographer Hugh Fordin, director Stanley Donen, composer Andre Previn, writers Betty Comden and Adolph Green, choreographer Michael Kidd, actor Mickey Rooney, Freed’s daughter Barbara Saltzman, director Vincente Minnelli (recorded in 1973), screenwriter Irving Brecher, dancer Ann Miller, Freed’s secretary Mildred Kaufman, actor Gene Kelly (from 1976), vocal arranger/music director Saul Chaplin, and actress Leslie Caron. ”Musicals” provides a fascinating look at Freed and the rise and fall of the movie musical. His career paralleled and strongly influenced the genre, so as we learn about Freed, we also see how the format developed. While the program discusses many of his films, it offers a heavier look at some of the more prominent flicks. This means reasonably substantial information about The Wizard of Oz, Meet Me In St. Louis, Annie Get Your Gun, On the Town, An American In Paris, Singin’ In the Rain, and Gigi. While mostly positive, the show gives us insight into some problems. We see how Freed tried to protect Judy Garland, and that section features some fascinating abandoned footage of her stint on Annie Get Your Gun. We also watch the decline of the movie musical and Freed’s attempts to branch out into other genres. I really enjoyed this brisk and very informative documentary. Another documentary appears next. Hosted by Debbie Reynolds, What a Glorious Feeling lasts 35 minutes and 30 seconds and includes the usual package of movie clips, archival materials, and interviews. In the latter domain, we hear from the exact same crew that appeared during the audio commentary. In fact, it seems pretty likely that the material heard there came from the same sessions that appear during this documentary. ”Feeling” starts with a general history of the advent of talkies and the career of Arthur Freed; this means it covers some of the same territory seen during “Musicals”, though it zips through those topics very quickly and offers them solely as background for Rain. We then get lots of good information about the production, as Reynolds leads us through the filming in fairly chronological order. Some of the same stories from the commentary and “Musicals” repeat here, but “Feeling” includes quite a bit of new material, and it conveys these details in a lively and compelling manner. Happily, we finally get to hear notes from Reynolds herself, who provides useful and interesting remarks about her participation. Overall, “Feeling” offers a relatively short but entertaining documentary. A very cool addition, Excerpts From Features Where the Songs Originated shows older performances of 12 Rain tunes. We get brief introductory text for each number before we get a chance to watch it. This provides a terrific compilation of useful historical material. The ”You Are My Lucky Star” Outtake really offers a deleted scene from Rain. In this four-minute and five-second clip, we watch Debbie Reynolds as she croons the song toward a billboard of Gene Kelly. The number did little for me, though it does make Kelly’s ending rendition of the tune seem more logical. Within the Gallery, we find a collection of 19 stills. These include both publicity and production shots. Lastly, the Scoring Stage Sessions provides a nice compilation of original audio recorded for the film. 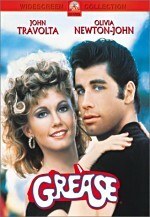 It includes 26 different clips that offer alternate renditions of the songs found in the movie. Most notable, we hear Debbie Reynolds do the “Lina Lamont” dubbing for The Dancing Cavalier; in the final flick, Betty Noyes dubbed Reynolds as she dubbed “Lina”! This section packs a lot of audio material that should greatly interest fans. Arguably the greatest movie musical ever made, Singin’ In the Rain remains fresh and lively after 50 years. The film seems bright and funny and it usually avoids many of the pitfalls that disenchant me when I watch the genre. The DVD offers very strong picture along with positive audio and a nice complement of extras. Whether you own the original DVD version of Rain or you’re new to the film, this special edition release belongs in your collection.